William Mark Fagerbakke was born on the 4th October 1957, in Fontana, California USA, and is an actor as well as voice actor, which are the main sources of his net worth. His main roles include those of Dybinski in the sitcom “Coach” (1989–1997), Patrick Star in the animated series “SpongeBob Square Pants” (1999–present) and the character of Marvin Erikse in “How I Met Your Mother” (2005–2014). 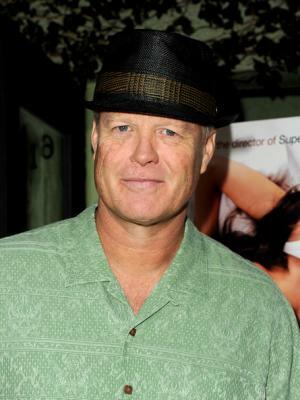 Bill Fagerbakke has been active in the entertainment industry since 1984. How rich is the actor? According to the estimations of authoritative sources, Bill Fagerbakke’s net worth is as much as $10 million, as of the data presented in the middle of 2016. To begin with, Fagerbakke was raised in Fontana, but completed his secondary education at Minico High School in Rupert, Idaho, and later attended the University of Idaho, where he played football for the Vandals until an injury ended his career. Eventually, he decided to enter the theatre, appearing in a production of “Godspell” at the university. Concerning his professional career, he has participated in several television series, including assistant coach Dybinski in “Coach” (1989–1997), and starring in movies including “The Funny Farm” (1988), and several works on Broadway. Moreover, he impersonated Tom Cullen, a man with mental problems in the miniseries “The Stand” (1994) based on the novel of the same name written by Stephen King. In 1999, he played Officer Karl Metzger in the original series aired on HBO “Oz”. To add more, he is the voice of Patrick Star in the series “SpongeBob Square Pants” (1999 – present). Meanwhile, he has voiced a number of characters in the animated films and series “Help! I’m a Fish” (2000), “Lloyd in Space” (2001), “Lady and the Tramp 2: Scamp’s Adventure” (2001), “Ken Park” (2002), “Final Fantasy: Unlimited” (2002) and “Patrick the Snowman” (2002). In 2007, he made a cameo appearance in the series “Heroes” as Steve Gustavson, in the episodes “Run” and “Unexpected”. Fagerbakke has been hailed by the Screen Actors Guild and School of Acting Juilliard for his roles as Shylock in “The Merchant of Venice” by William Shakespeare, and as Torvald in “A Doll’s House” by Ibsen. In 2009, he returned on the big screen to participate in the film entitled “Jennifer’s Body”. In 2011, he appeared in the romantic comedy-drama “The Artist” directed, written and co-edited by Michel Hazanavicius – the film was made in black and white, silent film style; along with the ensemble Bill was nominated for the Critics’ Choice Movie Awards. From 2005 to 2014, he personified Marvin Eriksen Sr., the father of Marshall Eriksen in the comedy aired on CBS – “How I Met Your Mother”. Currently, he is voicing the computer animated comedy web series “All Hail King Julien” (2014–present). Overall, all the previously mentioned roles have added sums to the size of Bill Fagerbakke net worth. Finally, in the personal life of the actor, Fagerbakke filed for legal separation from his wife, actress Catherine McClenahan, citing irreconcilable differences in 2012; they had been married since 1989. 1 Has been good friends with Nick Bakay since they were roommates in college. 5 While doing a press conference to promote the animated series Gargoyles (1994), where he voiced the character Broadway, he responded to a question about whether or not the series was acceptable viewing for children by saying "It's better than Barney!" 6 Is a Member of Delta Tau Delta International Fraternity. 7 Attended University of Idaho (B.A., theater arts) and Southern Methodist University. How I Met Your Mother 2005-2014 TV Series Marvin Eriksen Sr. The SpongeBob SquarePants Movie 2004 performer: "Goofy Goober Song", "Now That We're Men"
Lady and the Tramp II: Scamp's Adventure 2001 Video performer: "Junkyard Society Rag"